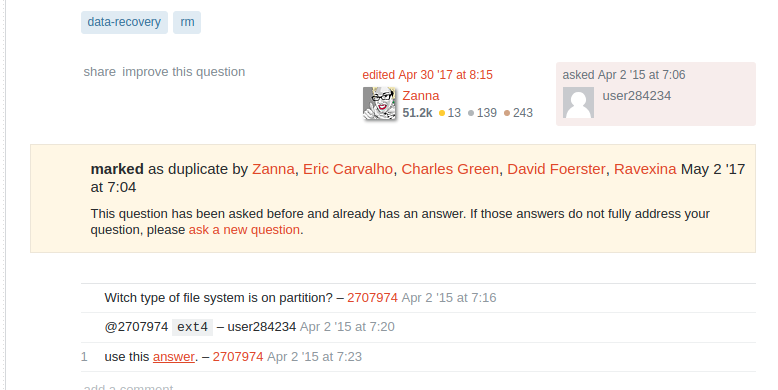 In general, where are links to duplicate questions located when a post is tagged as a duplicate? This link is just an example of one of the many times I've been unable to find the duplicate: Where is the link? 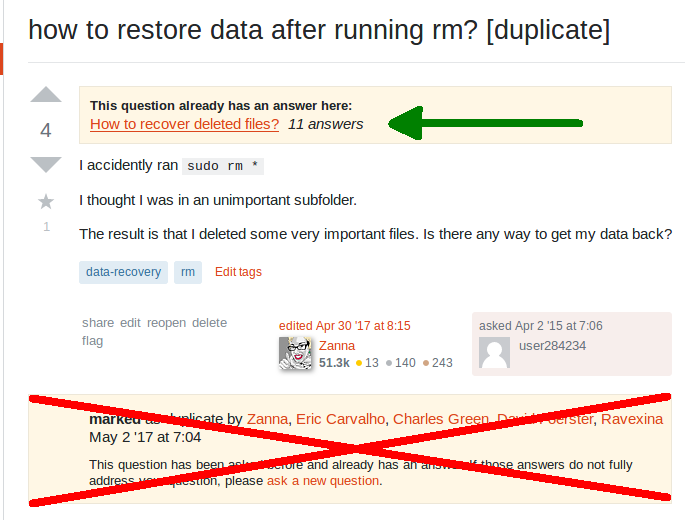 how to restore data after running rm?